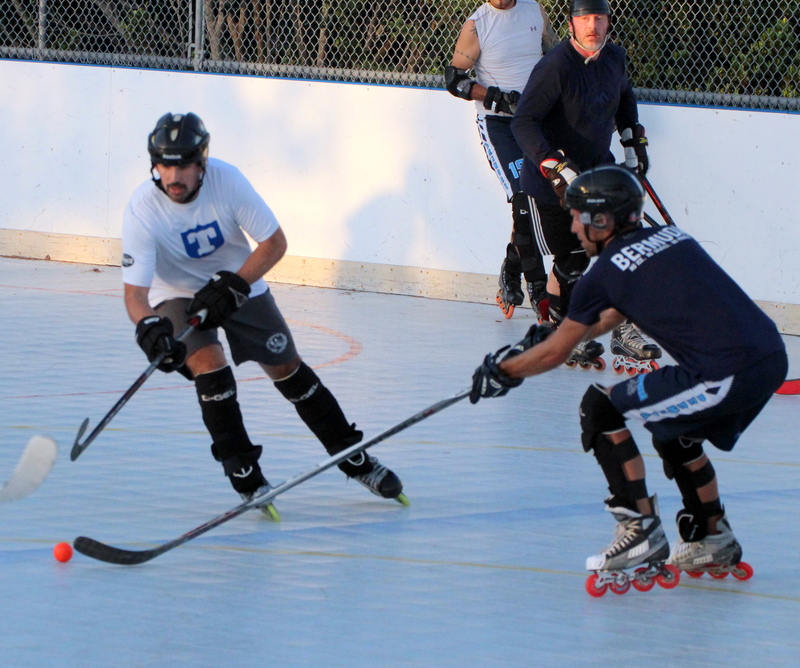 The Bermuda Inline Ball Hockey League season continued at the PCC Hockey Rink with a double header that produced 38 goals. In the opener the St. David’s Islanders defeated the Tuckers Town Tropics 11 – 3, Jermy Estey and Pete Brodsky both scored four times for the St. David’s Islanders, while Christopher Jackson scored twice and Jeffrey Ingelman added the other. Ryan Wilson would score twice for the Tuckers Town Tropics and Shannon Goose added the other. In the nightcap the Warwick Waves defeated the Southampton Sailors 8 – 6, Matthew Benson led the Warwick Waves to victory with a hat-trick, while Brian White, and Josh Bush added two goals each and Shawn Mckee added the other, Andrew Curnow and Matt Katzsch both scored twice for the Southampton Sailors, while David Provost and Townie Jackson added a goal each.